Oglądaj cały odcinek "The Detail Online"
„You cannot lose if you do not play.” – Marla Daniels. McNulty feels the heat when a witness who testified against D’Angelo is found murdered. 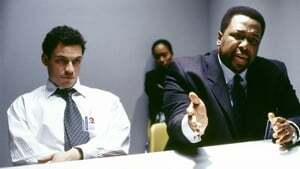 Meanwhile, Greggs is given the lay of the land regarding Avon Barksdale’s key players, and Herc, Carver and Prez find big-time trouble at the towers.